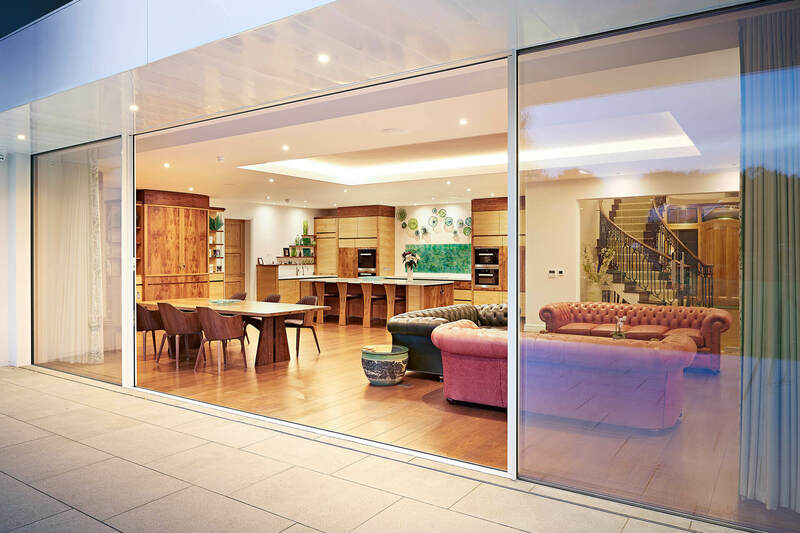 Simon Thomas Pirie’s bespoke kitchen interiors combine both the practical and pleasurable. With a national reputation for producing award-winning design, we can offer you a beautiful living space that will become the heart of your home. 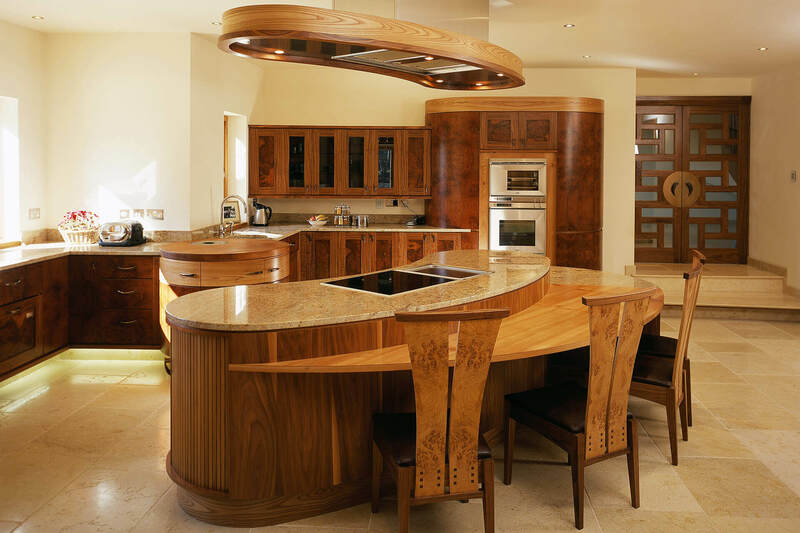 Our bespoke handmade kitchens are lovingly and expertly crafted, with no limitations. 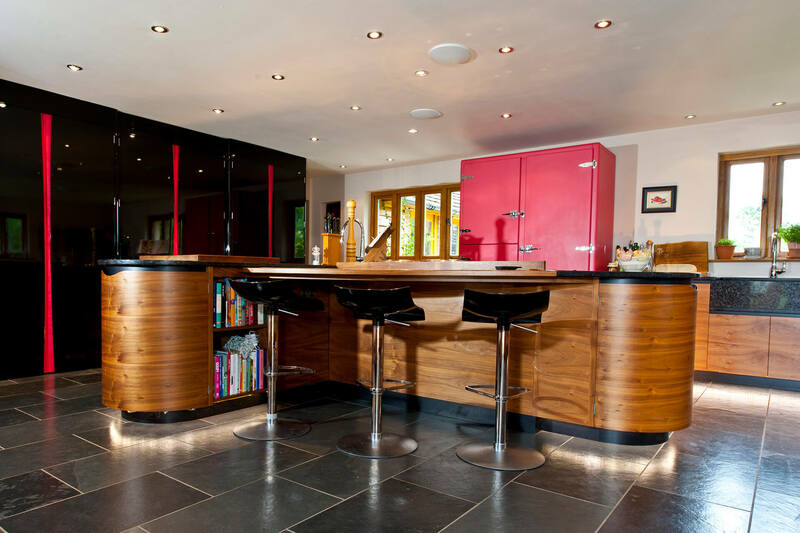 Unlike other Dorset kitchen design companies you might have seen, our creations are completely unique, with no one project ever being the same. 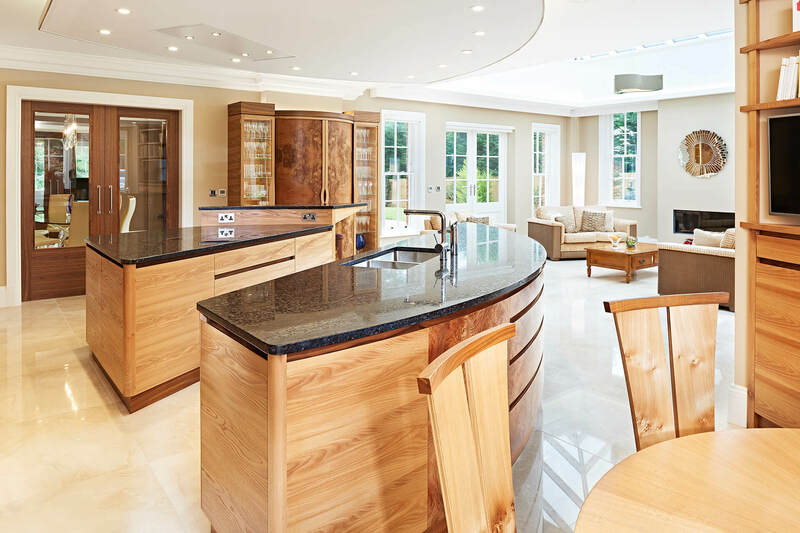 To see examples of our bespoke designer kitchens in Dorset homes scroll down, or alternatively view examples of all our interior work on our latest case studies page. 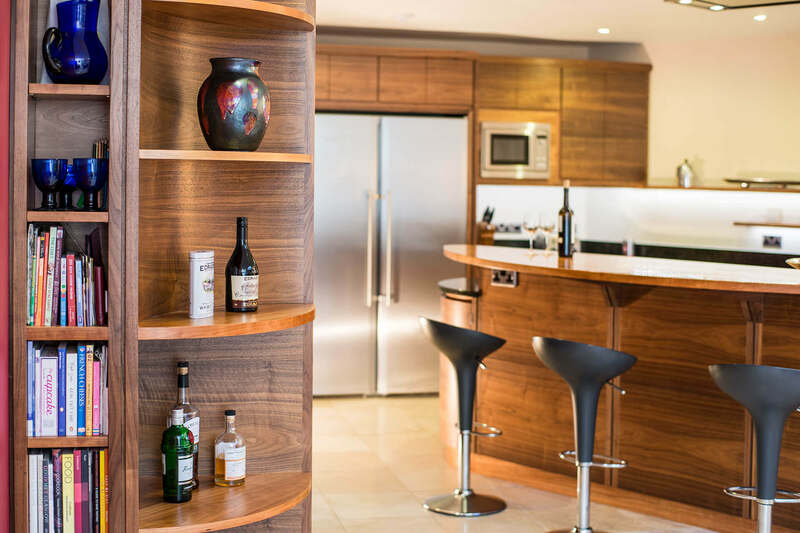 We have designed bespoke fitted kitchens, studies, boardrooms, bars, reception areas, living spaces and libraries, all with a furniture makers’ eye. Elm, black walnut and burr elm. Meteorus Granite. 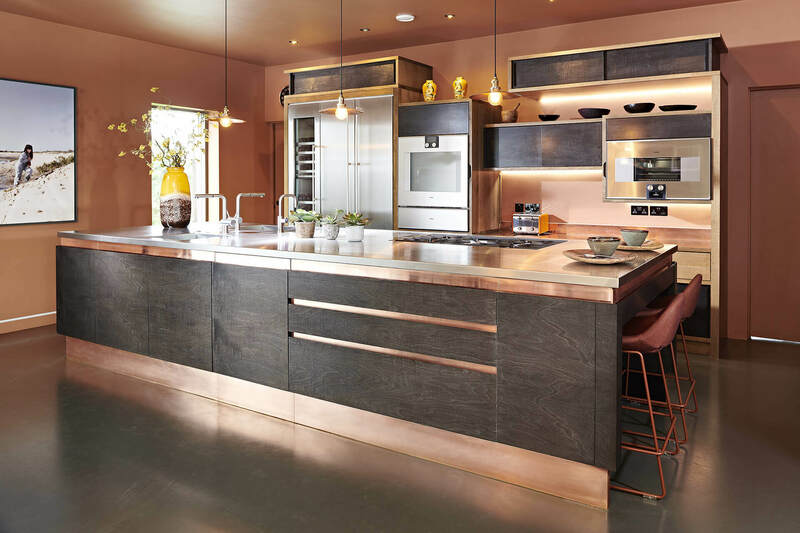 Copper, stainless steel and figure black sycamore kitchen. Solid English walnut with solid sycamore carcasses. Figured sycamore & elm kitchen with matching dining set. Uba Tuba Verde Granite. Private residence, Isle of Purbeck. Private residence, Isle of Purbeck. Elm, burr elm and walnut kitchen with white Corian worksurfaces. Black walnut and cherry kitchen with uba tuba verde granite worksurfaces. 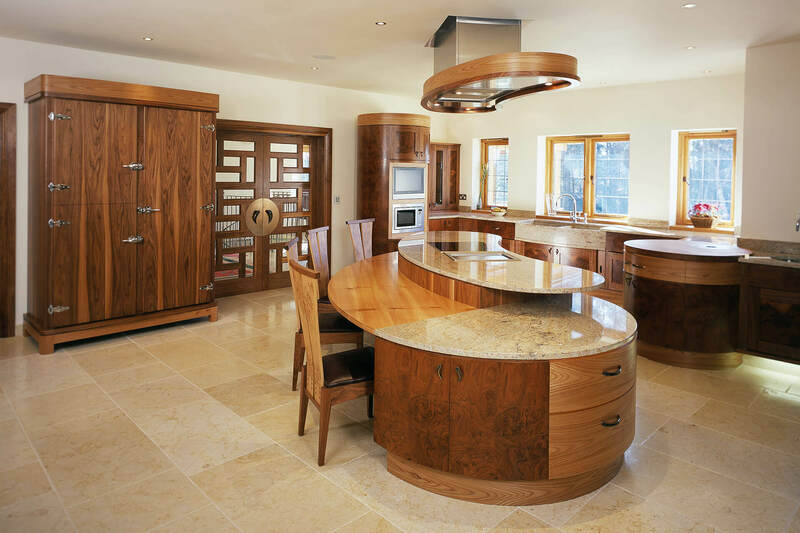 Quilted maple, mazur birch, elm and burr elm kitchen with Kashmir gold granite worktops. Black walnut, stained black tulipwood, polish black lacquer and pink figured sycamore kitchen. 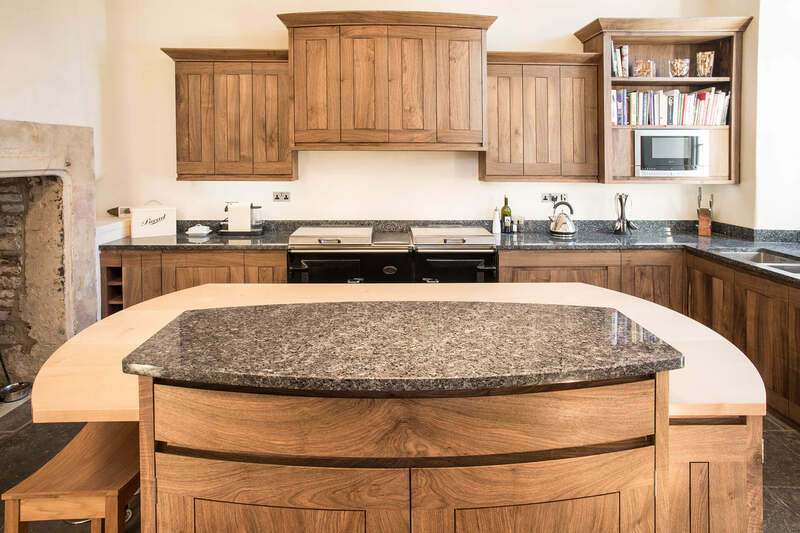 Elm, burr elm and black walnut kitchen Kashmir white granite. Based in Dorset, our design team work from a beautiful turn of the century farm building, but that doesn’t mean we’re stuck in the past. 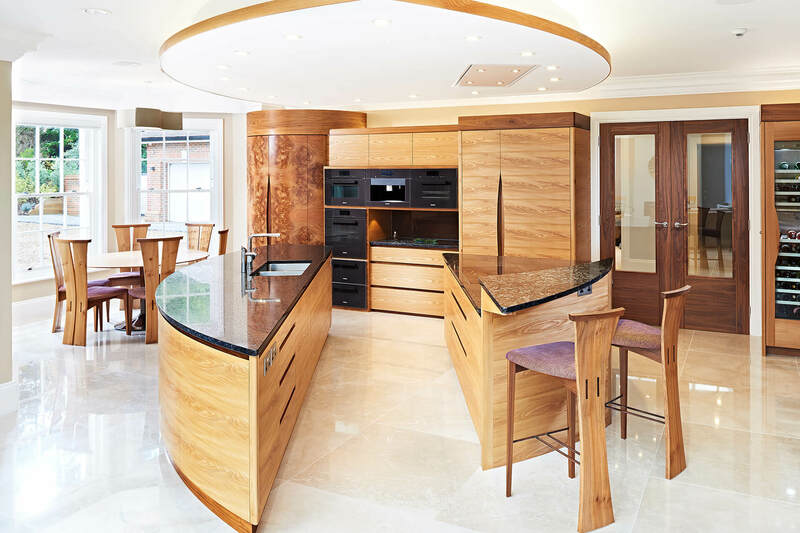 Our independent kitchen designers use state of the art machinery to create stunning interiors, cabinets and fittings to deliver a truly unique dream kitchen. The only limit to what’s possible is the power of your imagination, and that’s something our experienced team can also help with from our design studio. We would love you to visit, so call us today to make an appointment. We can then arrange for you to come to our Dorset workshop to see how we work and to discuss your bespoke kitchen requirements. 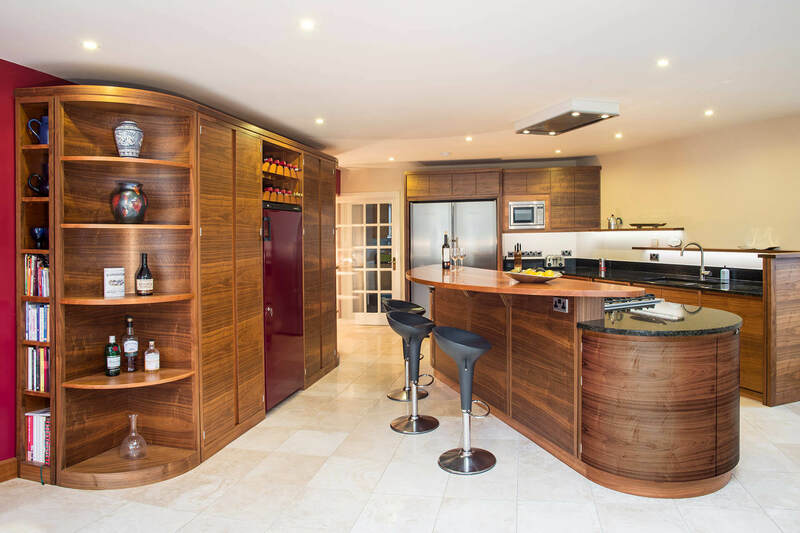 Our expert cabinet makers create bespoke luxury kitchens manufactured from both solid timbers and veneers. Using techniques ranging from steam bending to CNC machining, your idea or vision coupled with our design expertise, will come to life. Using high-tech tools and processes, blended with traditional design skills to produce stunning interiors every time. Established over 20 years ago by Simon Pirie, 2007 saw us expand significantly moving to our current workshop at Briantspuddle, Dorset. Every single handmade and bespoke kitchen project is manufactured with loving care from this location. Our clients demand excellent results, and we’re proud of the fact that the furniture and interiors we produce hit those exacting targets. With a passion for not just beautiful, but also functional design, we are a multi-award-winning kitchen company with an excellent local and national reputation. 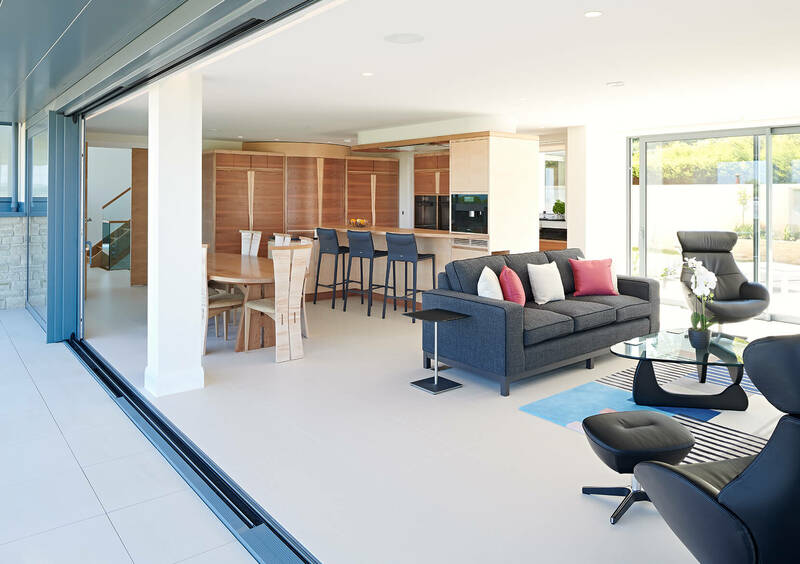 If you browse our project pages, you will see examples of exquisite and extraordinary design including kitchens, studies, bars, home entertainment rooms and free-standing furniture. You will see stunning examples of luxury functional kitchens that can completely transform your home and the space within it. We believe that the future is very exciting, and currently have plans to further expand our workshops, design studio, and showroom area. 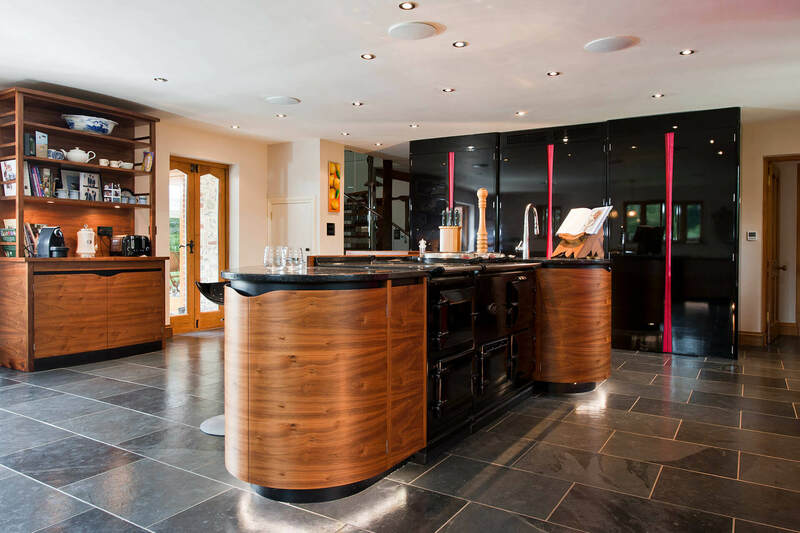 We understand that you might have some questions regarding how we work, what’s involved, and why you should choose Simon Thomas Pirie as your independent kitchen designer in Dorset. Over the years we’ve been asked plenty of questions, many of which had led onto us designing a stunning handmade or wooden kitchen interior. You can see examples of the most commonly asked queries below, with our answers. Do you handmake everything at The Courtyard Workshops in Dorset? Yes, we do. From design through to the eventual end product, everything is kept complete in-house and manufactured by our expert kitchen designers. Do you fit the kitchens and interiors as well? Yes, always. It’s important for us to make sure that the initial vision and dream is turned into reality. 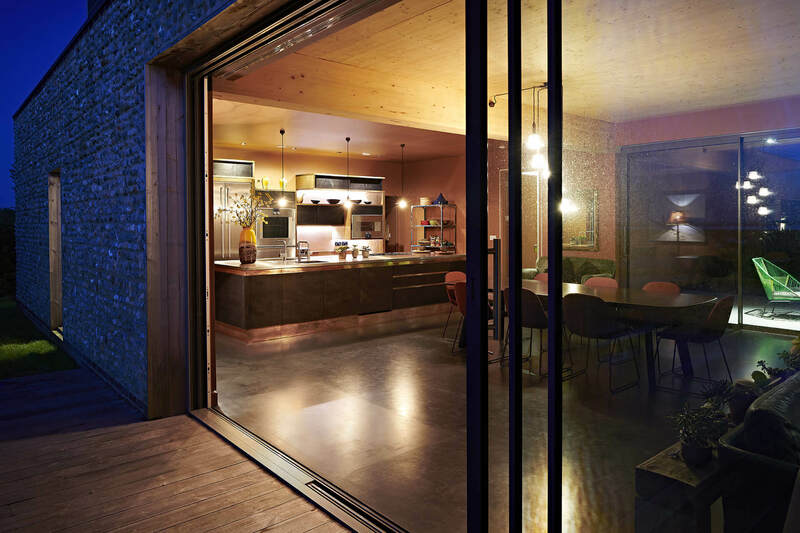 In fact, the same team of wooden kitchen designers will be the same who come to your property to oversee the final aspects of the project being fitted. 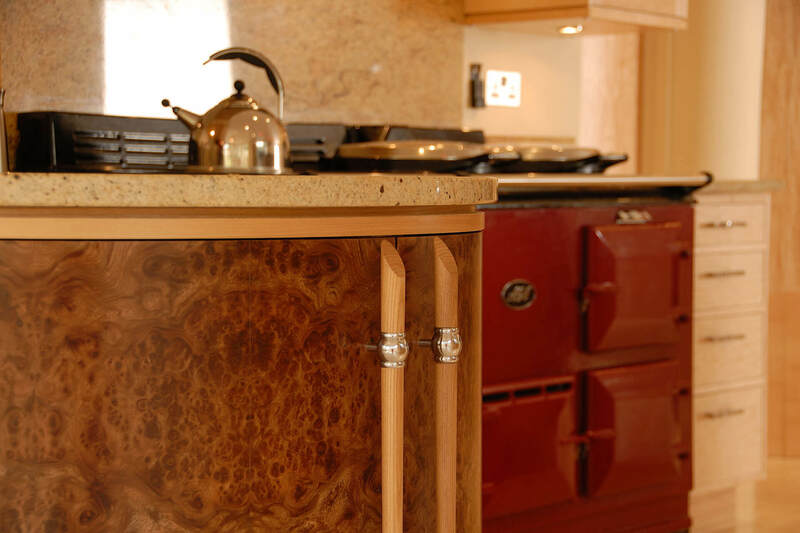 Do you do design and manufacture hand-painted kitchens in Dorset? Yes, we do. During the design phase, our bespoke luxury kitchen design team will work with you and also offer recommendations on the best colour matches and shades. Those will then be brought to life in our workshop, before being fitted in your home. Do you supply the appliances? Yes, we can do. 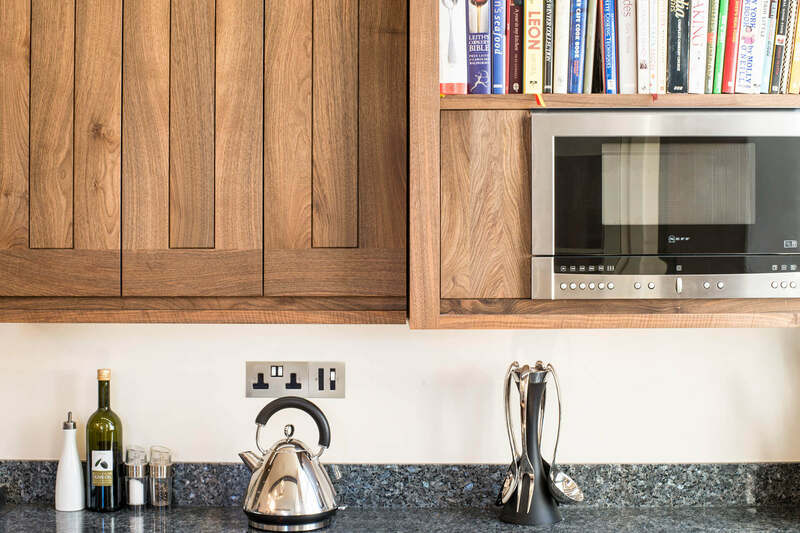 We will work with you on recommendations and make sure that all our wooden kitchen furniture is designed to complement whatever appliance you desire. However, you can buy the appliances from the high street at the same price, it’s up to you – but if we can help, we are more than happy to. What brand appliances do you recommend? The brands that we trust and recommend, and the ones which will often complement our design work include, Miele, Gaggeneau, Quooker, Westin Extractors, Wolf, Sub-Zero, Fisher & Pykle, Siemens, Blanco, and Aga. Do you supply the stove tops and surfaces? Yes, we do. And those tops will be integrated into the overall design concepts that we agree with you when planning your bespoke kitchen furniture in Dorset. We partner with a number of high-quality stone masons and have great relationship with them. Unfortunately, we don’t yet. All of our work is completely unique and no kitchen design will be the same. However, we do have a handful of clients who have said they are happy for new potential clients to visit and view the work we have completed for them. 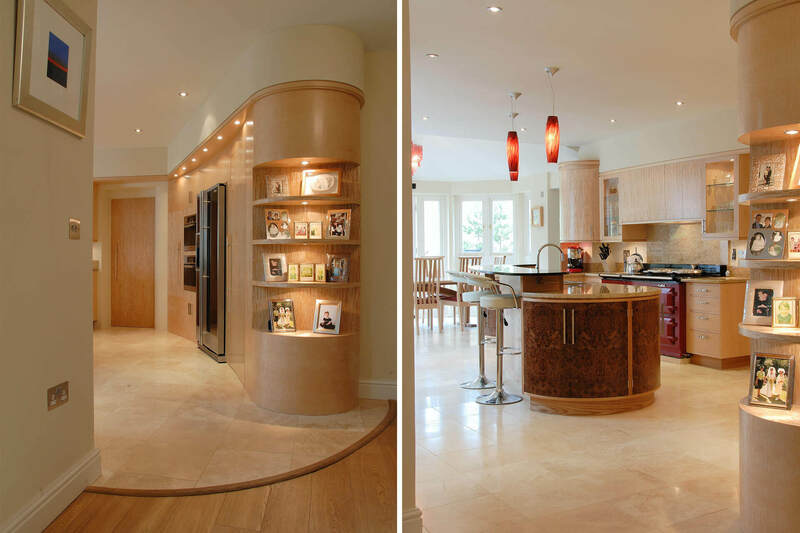 We also have a large portfolio to view online showing photos of our most recent bespoke fitted kitchens. Can I visit you whilst my kitchen is being designed and made? Absolutely! We love nothing more than a visit to our Dorset workshop from a client during the build phase. We are committed to producing a final piece that you will love for years to come and believe you will appreciate it even more if you see the hard work and creativity that goes into our production process. Do you charge for your kitchen design work? Yes, we do. But the design is included in the overall package price and isn’t a hidden extra or unexpected charge. Is the initial design consultation free? Yes, arrange an appointment and come and talk to us. We love having visits and also believe it’s very important for you to meet us face to face and see how our Dorset bespoke luxury kitchens are made. If you are interested and want to know more or would just us to send you a brochure containing our recent work, please get in touch today.